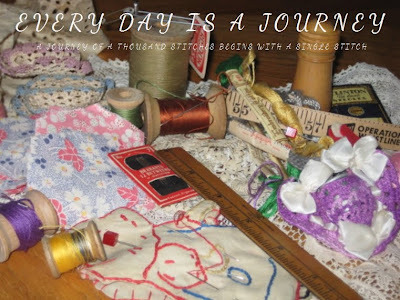 If you love quilting or other needle arts, I'd like to direct your attention to a blog started by a friend named Roseann. She came over a few months ago for an afternoon's tutorial on blogging, then went home and created a masterpiece... just before her husband of 33 years went into cardiac arrest and passed away. Through this tragedy, she's taken solace in her beautiful quilting skills and would love to have some readers of her blog who are as enthusiastic about this art form as she is. Please visit her blog and share in her zeal for the fabric arts! 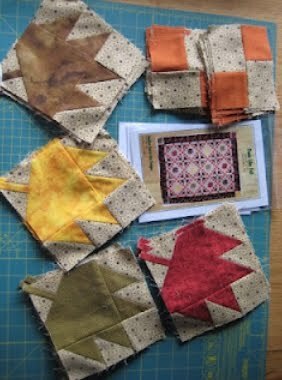 Did I hear the mention of quilting??! :-) I'm sorry about the passing of her husband. I'll be popping in on her blog & thanks for the heads up, Patrice. Bless her heart - I'm happy to pop over and say hi~! I need a new computer screen, and I thought the headline of your post said "Calling All Quiters". I was thinking "Everyone is in a bad mood today"; then I looked closer. Loved her blog, but I couldn't post as 'anonymous'. It wanted an http// or something...maybe I'll try later. Looked very interesting! Hoped to be able to welcome Rose on her blog, but couldn't post as anonymous, so didn't leave a message. I enjoy quilting, also, and am originally from Northeast Kansas as well.